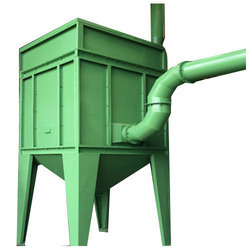 We are a noted name in manufacturing fume extraction systems. Our competent engineers analyse the exact requirements at the preorder stage by trying to get exact inputs from our clients, which results in the design of effective fume extraction systems that deliver optimum outputs at the site. We offer technically advanced fume extraction systems that are extensively used to protect men working in the manufacturing plants from hazardous gases and fumes. These systems are tailor-made strictly in accordance with the data provided by clients and the space available at their site. We always take utmost care in carrying out the fabrication and installation of only highly efficient extraction systems that can deliver optimum and consistent work output for longer periods, with least maintenance. It is increasingly recognized that for increased productivity, safety, the health of manpower and environment protection is important and vital role is played in a manufacturing process. Turn-key execution of system for extraction of corrosive fumes and gases. High separation efficiencies of 1 micron particulate and gasous emissions are achievable. Customized process equipment for metal finishing industries.